You are here: Breast Imaging/Tara Anthes, M.D. Tara Anthes is board certified in diagnostic radiology. She was born and raised in Ketchikan, Alaska and earned her medical degree from the University of Washington in Seattle. Dr. Anthes did radiology residency training at the University of Washington and at Washington University in St. Louis. She completed a fellowship in Breast Imaging at Washington University in St. Louis. Outside of work, Dr. Anthes enjoys spending time with her husband and two children. 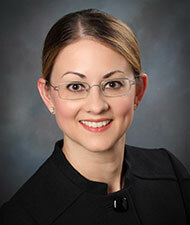 She joined Boise Radiology Group in 2013.